Known for her commitment to improving public services in the Rio Grande Valley, most specifically in the sector of affordable housing, Estella Lane Treviño helped advance the community in a number of ways. Following a career filled with numerous achievements, Treviño died Monday at age 95. At 16, she graduated from Edinburg High School and began her career as an entrepreneur. By the next year, she owned and operated a beauty salon and continued in this position for more than two decades. Treviño, referred to as Mrs. T by those who knew her best, made history in 1959 when she was the first woman elected as justice of the peace in Hidalgo County. This accomplishment was far from her last. For 40 years, beginning in 1972, she served as executive director of the Edinburg Housing Authority. During her time with the EHA, she oversaw more than 800 Section 8 housing units and assisted generations of low-income families in securing safe, affordable housing. Her dedication earned her a Hall of Fame Award for outstanding service from the Texas Chapter of the National Housing and Redevelopment Officials. Hollis Rutledge, owner of the Mission consulting firm Hollis Rutledge and Associates Inc., counts himself a longtime friend of Treviño and her family. During her time in the industry, he referred to her as the “go-to” resource for other housing advocates. In addition, Treviño served as the “cupid” for his marriage, arranging the first date between him and his wife, Cindy Leon. Treviño and Leon were both associated with the Department of Housing and Urban Development. Treviño’s other community involvement included volunteer work with Edinburg’s Sacred Heart Parish and St. Joseph Church. A proclamation by the city of Edinburg in 2011 declared Sept. 23 Estella Lane-Treviño Day. 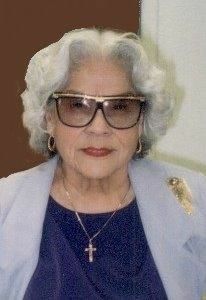 The same year, the University of Texas Pan-American dedicated in her name a scholarship which assists students living in public housing in Edinburg. Treviño placed high value on mentoring and developing after-school programs. Treviño’s life will be celebrated with a mass at 9 a.m. today at Sacred Heart Catholic Church in Edinburg. Burial will follow at Hillcrest Memorial Park Cemetery.